NCRI, 02 July 2010 - John Bolton, former US ambassador to the United Nations, underlined the concerns for Ashraf in his address to the gathering of Iranians in Paris on June 26 and said, “The US presence inside Ashraf has to be continued and perhaps expanded back to something like its previous level. I think the UN mission inside Ashraf has to be extended and I think we need to make it clear to the government of Iraq that we will not tolerate interference in the camp and certainly not the kind of assaults that have occurred on the inhabitants of the camp before. This is again something, I think, of a very high priority in the American Congress. Thank you. Thank you very much. It’s a great pleasure to be here today and to say thank you for the opportunity to address the free people of Iran. I would like you and all the people still inside Iran to know how many tens of millions of Americans believe that the policy of the United Sates government should be regime change in Iran. I don’t need to tell anybody here today how oppressive the regime is and the crimes it has committed against the people of Iran. This is not a government that is loyal to the people. This is a government that is loyal only to itself and keeping itself in power. What is important, I think, for the rest of the world to understand is how in the past several years in particular the regime has become increasingly a military dictatorship, and that this is an oppressive, and in fact fascist, regime that controls Iran today. The repression that followed last year’s fraudulent June 12 presidential election was an eye opener for many people in the West and certainly in the United States. And this is because not simply that the election itself was fraudulent and not simply because of the brutality of the Pasdaran and the Bassiji against the people of Iran, but because the entire sequence of events revealed just how basic are the flaws in the current regime and just how strong is the opposition of the people of Iran to the regime itself. I must say, speaking as an American, that I found the US reaction to the repression after the June 12 election as very disappointing. I think that the administration did not want to speak the truth about what was going on inside Iran because it was still focused on the open hand that it had extended to the Iranian regime; an open hand for negotiations particularly over the nuclear weapons program. Now, I think, any one familiar with the regime had to know at the beginning that the open hand would be rejected and that there would be no negotiation over the nuclear program and certainly no negotiations over the freedom of the Iranian people. It remains to this day a disappointment that the administration in Washington has not realized that yet. But I do want to assure you that in the United States, among the people, in the Congress, in the media, and in academic circles, there is an increasing realization that the regime in Tehran is not a regime that we can negotiate with and that the open hand policy has failed. This meeting today is a signal both to the people still trapped inside Iran and the democratic countries all around the world that the people of Iran seek to have control over their own government and to participate in democratic elections. It is a tragedy for Iran that its best friend and closest ally in the world is North Korea; North Korea, which has its own nuclear weapons, which pursues ballistic missile technology that threatens peace and security not only in Asia but in the Middle East as well, which financed by the regime in Tehran was building a nuclear reactor in Syria, and which partners with Iran on the nuclear program. It is a regime that is the most dictatorial on Earth today; North Korea is a prison camp. North Korea’s people are on the verge of starving; and it still nonetheless pursues nuclear weapons and works with the government of Iran. This is a huge tragedy for the people of Iran. But what it reflects is the isolation of the regime from civilized governments all around the world. It is a fitting tribute to the free people of Iran that so many parliamentarians, from Europe, Canada, the United States, and around the world have begun to see the impact of the regime on the people of Iran. It also has to be troubling that the regime’s closest large friends around the world are Russia and China; China which has never had on the mainland true democratic institutions; and Russia which passed from authoritarianism into a period of democracy and may be passing right back into authoritarianism. This is not something that a free Iran would tolerate. Moreover, the regime’s support for international terrorism – some have described it as the central banker for international terrorism, supporting terrorist groups all around the world – have helped contribute to the isolation of Iran and the increasing difficulty imposed on the Iranian people. Now, I think that the US policy of regime change should be a very active policy. I think the first thing that we need to be clear on is that the United States will not stand in the way of legitimate opposition groups of Iranians who seek regime change in Iran.  As all of you know, in many European countries, the designation of the MEK as a terrorist organization has been lifted. That has not happened in the United States yet. But there are many members of Congress who have pressed Secretary of State, Hillary Clinton, to have the State Department reevaluate that designation which after all was first imposed in 1997 during the Clinton administration, many say as a favor to the regime in Tehran. That obviously has not produced anything in response. And I do think that it is incumbent on this administration to make it clear if it has evidence to bring it forward and if it does not have evidence to remove the designation. US opposition to international terrorism is unwavering but it is an opposition that has to be based on facts and not ideology and that is what we need to see. In the short term I believe the United States has a responsibility for the safety of people at Camp Asharf. At an absolute minimum, the US presence inside Ashraf has to be continued and perhaps expanded back to something like its previous level. I think the UN mission inside Ashraf has to be extended and I think we need to make it clear to the government of Iraq that we will not tolerate interference in the camp and certainly not the kind of assaults that have occurred on the inhabitants of the camp before. This is again something, I think, of a very high priority in the American Congress. I think going beyond simply getting out of the way of legitimate democratic opposition to the regime in Tehran that the United States should be prepared to provide assistance to the opposition; resources and information continuing and expanding, for example, the work of Radio Farda, and other ways to get information to the people still inside Iran. I think the utility of this kind of support has been demonstrated throughout history, such as Solidarity in Poland. Obviously we do not want to do anything that would give the regime the ability to say that the opposition was anything other than fully independent. But, I think our support and the support of other western democracies should go beyond the merely rhetorical. In recent weeks we have seen the UN Security Council impose the fourth set of sanctions against the regime because of its nuclear weapons program. Sanctions are useful to put pressure on the regime and will bring us closer to the day when the regime will fall and there will actually be a democratic Iran. But I do not think that the sanctions unfortunately will be enough to stop the regime’s continued pursuit of nuclear weapons. And I worry very much that the Obama administration and our western European friends believe that there is now nothing more that can be done to prevent the regime and the Revolutionary Guards from obtaining nuclear weapons. Their fallback position is that the mullahs and the Revolutionary Guard can be contained and deterred once they achieve a nuclear weapons capability. I think this is a huge mistake for the region and the world but mostly for the people of Iran. The fact is that once this regime gets nuclear weapons it will be immeasurably strengthened and the power of Revolutionary Guards, already considerable, will be strengthened even further. This regime with nuclear weapons is not simply an external threat to its neighbors and stability in the region and the world as a whole, but an even greater threat to the people of Iran. It is the trump card for the regime to stay in power. I think it is very significant here that the position of the democratic opposition is that it does not want an Iran with nuclear weapons. Commentators in the West are continuously telling us that opposition to the nuclear program helps bring the people of Iran into closer support for the regime in Tehran. We know that that is simply not true and I think it is very important that in Maryam Rajavi’s platform for the future Iran it says in point 10 very explicitly, (let me quote it so that the media can hear it, this is Mrs. Rajavi’s own platform), “We want the free Iran of tomorrow to be devoid of nuclear weapons and weapons of mass destruction.” Mrs. Rajavi’s position is exactly the right position, because an Iran with nuclear weapons will be a less secure Iran. If this regime gets nuclear weapons, you can count on Saudi Arabia, Egypt, Turkey and perhaps others getting nuclear weapons. So in a very brief period of time, five to ten years, you can have a multi-polar nuclear Middle East that will make everybody and particularly Iran. This is why it is so important that we support the democratic opposition in Iran to see regime change at the earliest possible date. Now, some people in the West, although they do not like to put it this explicitly, basically do not think Iran is ready for democracy. I think they are flatly wrong. Iran is more than ready for democracy. This is something that we feel very deeply about in the United Sates. I would offer to all of you the great insight of our President Abraham Lincoln, who gave us the inspiration that I hope will be of assistance to you, that what we want for the people of Iran is what Lincoln wanted for the people of the United States: government of the people, by the people and for the people.